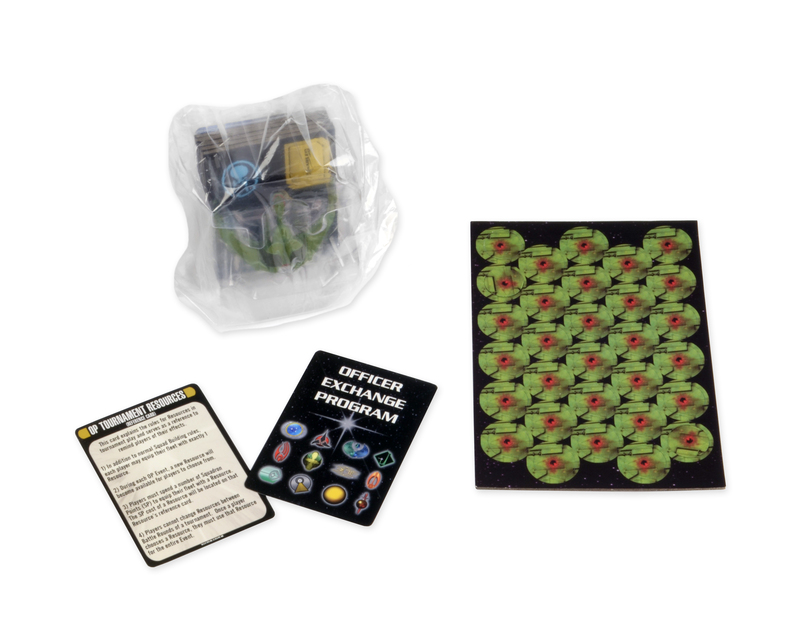 Auf der WizKids Seite zum Spiel (http://wizkidsgames.com/startrek/star-trek-attack-wing/) sind jetzt die beiden TNG Episodenkits etwas ausführlicher vorgestellt worden. In order to bring its forces to their peak performance level now that the Borg are an imminent threat, Starfleet has issued orders for all of the ships in its fleet to run battle simulations, creating scenarios in which newer, superior ships are battling older, weaker ones. In these simulations, all weapon systems are to be rendered harmless to prevent any actual damage from occurring. The Federation has enlisted the aid of the Zakdorn, a race known for their battle strategy to help them in this endeavor. The Zakdorn Master Strategist Sirna Kolrami will run the simulations and assess the performance level of all the “combatants”. 3 Sakharov / Type 7 Shuttlecraft Prepainted Plastic Ships. 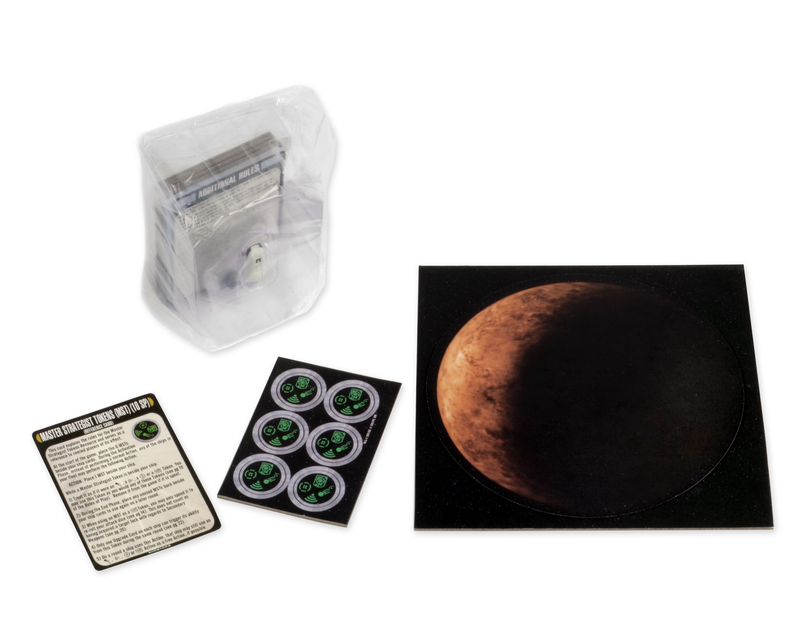 10 Card (with 2 Ship, 1 Maneuver, 2 Captain, 1 Additional Rules, and 4 Upgrades Cards). 4 Token Sheets (with 4 Captain ID, 1 Ship, 3 Action, 1 Critical Hit, 1 Auxiliary Power, 1 Disabled Upgrade, and 2 Shield Tokens). While participating in an officer exchange program, your fleet has become engaged with an enemy fleet and an unknown substance has been discovered on the hulls of the ships of both fleets. The substance is a rare subatomic bacteria capable of doubling in size at a rapid rate and reacting with compounds in the structures of your ships‘ hulls. If not treated, it will destroy the ships, but a method has been found to remove this destructive bacteria using a tunneling neutrino beam. Will your fleet be able to survive both the enemy fleet and the subatomic bacteria? 3 I.K.S. Pagh/ K’Vort Class Starship Prepainted Plastic Ships. 9 Cards (with 2 Ship, 1 Maneuver, 2 Captain, and 4 Upgrade Cards). 5 Token Sheets (with 4 Captain ID, 1 Ship, 4 Action, 1 Critical Hit, 1 Auxiliary Power, 1 Disable Upgrade, 3 Shield, and 4 Effect Tokens). Soweit die offizielle Ankündigung auf der WizKids Seite. Sofern es uns gelingt, das OP Material in die Finger zu bekommen, folgt – wie gewohnt – eine Besprechung hier auf Weiterspielen zu den einzelnen Kits. Bis dahin, viel Spaß beim Weiterspielen!